Crisis Chronicles Press is happy to announce the publication of Special Watch, a chapbook by Richard M. O'Donnell, on 31 January 2016. 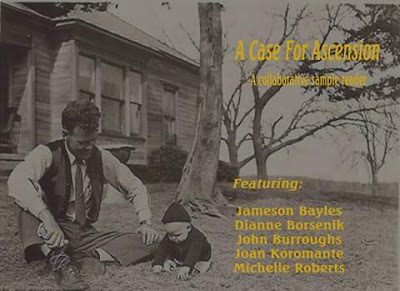 These prose poems are sensitive and often dark true accounts from the author's time working around maternity, pediatrics and the mentally disturbed at the nation's oldest naval hospital in Portsmouth, Virginia. Special Watch is 24 pages, hand assembled and saddle stapled, 8.5 x 5.5", laser printed on white pages with black card stock end papers wrapped in pale charcoal cover stock. ISBN 978-1-940996-29-5. Limited edition. Only $7 US from Crisis Chronicles Press, 3344 W. 105th Street #4, Cleveland, Ohio 44111. Richard M. O'Donnell‘s works have appeared in many venues including Sniplits audio stories, Everyday Poets, Everyday Fiction, the North Coast Review and The Gamut, to name a few. 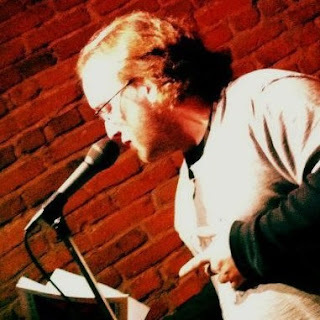 He is the co-founder and facilitator of The Oberlin Writers Group and the founder and facilitator of the Infinite Monkey Sci-fi/Fantasy Writers. 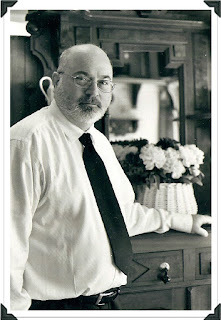 A link to his online publications and YouTube films is available at www.wormsview.com. Thanks to editors Alan Corkish and Andrew Taylor for including five of my poems in the 23rd issue of Erbacce, a quality journal out of Liverpool, UK. The poems are "Allen Ginsberg Wants You," "Ahem (A Hymn)," "Orlovsky (1933-2010)," "HermAphrodite" and "On Miss Under, Standing." The issue was published in early 2011. But somehow my contributor's copy got lost in the mail and I never realized it had actually been published until I saw a random post on Twitter a month or so ago, whereupon I sent the editors my current address and they made sure I got a copy. Click here to read sample poems from Erbacce 23 and/or buy a copy for £3.50. I also got the new Bernie Sanders book in today's mail. 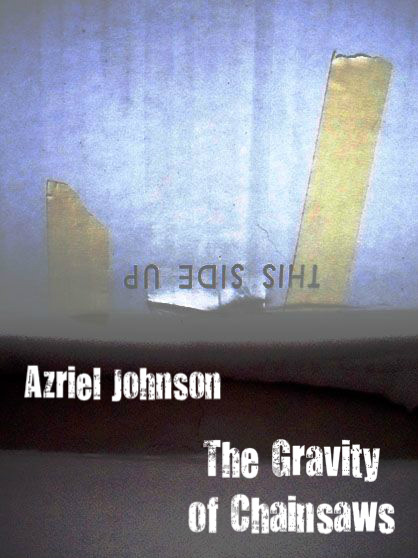 Crisis Chronicles Press is thrilled to announce the publication of Azriel Johnson's latest poetry chapbook, The Gravity of Chainsaws, on 18 January 2016. This themed cycle of poems is being called Johnson's best work yet, and we agree. Get it while it's hot. The Gravity of Chainsaws is 34 pages, hand assembled and saddle stapled, 8.5 x 5.5", laser printed on white pages with dark cream parchment endpapers wrapped in blue-gray cover stock. ISBN 978-1-940996-28-8. Limited edition. Only $7 US from Crisis Chronicles Press, 3344 W. 105th Street #4, Cleveland, Ohio 44111. We had the official book launch (and author's birthday bash) on 18 January 2016 from 7 to 9 p.m. during Stark Knights at Cultured Coffee Co, 309 Cleveland Avenue NW in Canton, Ohio. 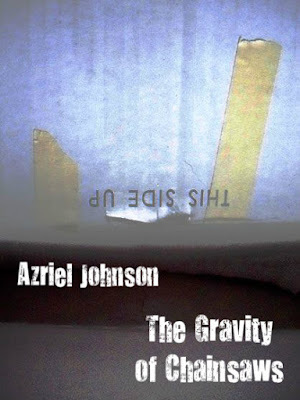 Azriel Johnson is a poet, novelist, and all around shady character; an ink spatter analyst by day and a serial writer by night; shaman of the International Temple of Self Expression; and the founder and director of Writing Knights Press. His other books include Hellfire, Heavensent thru Writing Knights, Poemaholic thru The Poet's Haven and his recently released fantasy / alternate history novel Sunset Red. Thanks to Chapbook Review for including my Crisis Chronicles Press on their site. I expect in the near future they'll post more about some recent chapbooks we've published. Good luck to Robin Wyatt Dunn, whose recent Crisis Chronicles Press chapbook, Be Closer for My Burn, has been nominated for a 2016 Elgin award. Stay tuned as Crisis Chronicles plans to publish new titles by Azriel Johnson (Canton, OH), Alinda Wasner (Detroit, MI) and Richard O'Donnell (Oberlin, OH) by the end of January, if life permits. All three of these books were submitted to me in 2012, so they've had an inexcusably long road to publication, but I believe you'll find they are well worth the wait. This is the year I catch up. 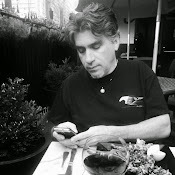 I'll try to post a full 2016 publication schedule soon. At Poet Hound. Thank you, Paula! I know I'm always in the middle of reading several books at once. But after counting them this morning, I'm surprised it's so many: 54 books in progress.